Dogs might be man's best friend, but that does not mean the feeling is always mutual. Some dogs, whether because they had a rough past or because they have a mean temperament are easy to anger and quick to bite. 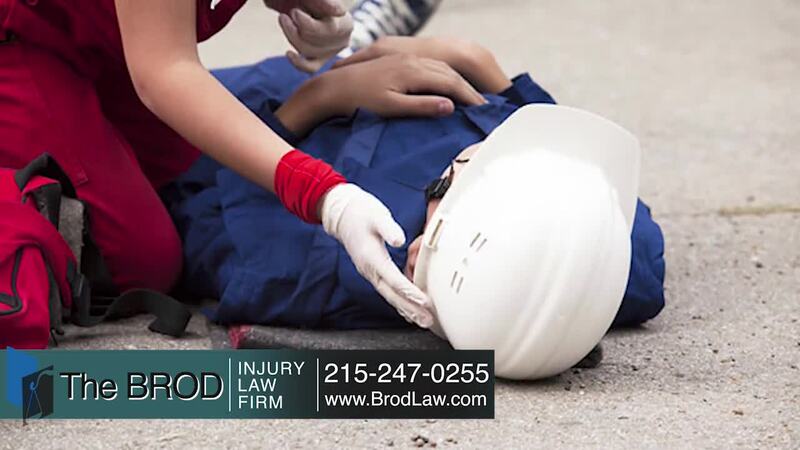 If you were the victim of a dog bite in southeastern Pennsylvania or Philadelphia, seeking legal help from The Brod Law Firm, headed by top rated attorney, Gary Brod can be the best way to get the compensation that you deserve for the injuries you have suffered. It is often underappreciated just how often dog bites happen. According to the Centers for Disease Control (CDC), an astounding 4.5 million dog bites happen every year in the United States alone. Many of these bites cause severe injuries that require serious medical attention and procedures. The CDC estimates that one out of every five dog bites get infected, causing serious diseases from rabies to tetanus that can have a long-term impact on your health. Even minor infections from dog bites, like pasteurella, can be dangerous to people who have compromised immune systems. And dog bites do not need to get infected to require lengthy medical treatment: The American Society of Plastic Surgeons reported that there were 28,079 plastic surgery procedures done in 2015 to repair the damage caused by a dog bite. $59,000.00 Settlement. Roxborough woman walking her dog bit on forearm by owners pit bull who escaped from yard and was acting aggressive to her and her pug. $153,000.00 Settlement : Owner's German Shepherd escaped from from Mt. Airy home causing Fedex delivery person to fall on metal grate suffering herniated disc, head and right knee injury requiring arthroscopic surgery. Why Choose Philadelphia Dog Bite Attorney Gary Brod? Take information from witnesses and the dog owner. Getting the names, addresses, and phone numbers of witnesses and the dog owner can make your own investigation and follow-up interviews much easier. Take photos of your injuries. Interviews with witnesses are important, but a picture is worth a thousand words, and show how things were, at the time of the accident. Report the bite to the Division of Disease Control in Philadelphia at 215-685-6748. They will answer questions about your risk for disease. Contact The Brod Law Firm. Getting an experienced dog attorney involved early on can make a huge difference in getting the compensation that you need as quickly as you can. In Pennsylvania, we have our own set of laws that regulate how dog bites are handled. If you get bitten by a dog that has already been determined to be dangerous, then the owner could also face criminal misdemeanor charges and the dog could be put down. However, if the dog is not considered dangerous, then it depends on how badly you were injured. If the dog attack left you with broken bones or a disfiguring cut or laceration from the dog bite, then you can file a lawsuit. If you are able to show that the dog attacked and bit you without being provoked, then you can get compensation for both your past and future medical bills, as well as any wages that you lost while recovering from your injuries. However, if the dog attack did not break any bones, result in any hospitalization or cause any disfigurements, you would not be entitled to as much compensation. Even so in Pennsylvania, if this is the case, you do not have to prove that the attack was unprovoked – you only have to prove that the person you are suing was the owner or the keeper of the dog at the time of the attack. Pennsylvania's Dog Law also protects your right to stand up to an attacking dog and defend yourself or your own pets. You can even use lethal force and kill the attacking dog if that is what it takes to stay safe. Additionally, Pennsylvania's Dog Law allows you to go after whoever was responsible for the dog attack. Typically, this means the person you sue is the owner of the dog. However, there are times when the owner was not around at the time of the attack and had left the dog with someone else. Under the Pa. Dog Law, you can sue the person who was responsible for keeping the dog when the attack happened, or even the landlord of the tenant who owned the dog, if the landlord knew of the dog and had the ability to control it. Getting bit by a dog is no trivial injury. The medical bills can accumulate quickly, especially if the wound gets infected. Additionally, there is not only the physical pain and suffering but also the emotional and psychological scarring of having been bitten. Most children and many adults find it difficult to get over a dog attack and enjoy being around canines, again. These are all reasons why you should hire a top rated Philadelphia personal injury attorney who deals with dog bites. Getting the compensation that you need from the people who are responsible for your injuries can go a long way to ensuring you can make a full recovery. It can also make sure that no one else gets hurt by the dog that bit you, and force the dog owner to be more careful in the future. If you or a loved one has been bitten by a dog in southeastern and central Pennsylvania, Philadelphia, and surrounding counties we are here to help. Contact the dog bite attorneys at The Brod Law Firm online or at 1-888-435-7946 (888-HELPWIN) Even if you are not sure if you have a case please call us for straightforward no-nonsense answers to your legal questions. We do not charge you for legal advice.